An Argentinian by birth but now a US citizen, Guillermo Vega has previously worked at 72andSunny New York and Wieden & Kennedy São Paulo. This is the first time that he has worked in the UK. Campaign caught up with him to find out more about his reasons for the move, what he expects to find and what we can expect from Saatchi & Saatchi in the future. There are two reasons. First, when I met the Saatchi leadership team, I felt a real connection with them and I liked their style and plans – and then I kept meeting more people at the agency that I felt like that about too. The other element was that Saatchi and particularly the London office is such an iconic brand that it was a no-brainer for me. You’re moving your family to London from New York. How much persuading did it take for Saatchi & Saatchi to convince you and for you to convince your family? It took a bit of convincing, especially because we’ve been living in New York for almost eight years in total. But, at the end of the day, London is spectacular and the opportunity is amazing. We also know that schools are the best in the world and our little one will be super-happy here. I’m thankful for that. Your CV indicates that you have mostly launched agencies. So why are you joining an established one and how do you think the role will differ? I did that twice, it’s true, but I also creatively ran an established office in Buenos Aires and the LatAm region for Y&R. I did that job for almost six years before getting into the start-up mentality. I think you need to keep yourself excited in this industry. Different challenges motivate me. What of your own work are you most proud of and why? Lately, I’m really proud of the work I did for Seventh Generation and Smirnoff – two brands that I really enjoyed working on and also helped to guide. Other things that I’m proud of are the work I did for Visa back in Argentina at the beginning of my career and some of the work for Nike and Coca-Cola in Brazil. Which other creatives do you admire and why? I really admire Nike and a lot of the people that worked for them over the years. It’s amazing to see how they found a way to stay relevant and fresh after all these years. It’s great and inspiring. I have massive respect for owners and founders of companies. I did two start-ups with a lot of support and it was tough. I can’t imagine how tough it is to do it yourself with your own money. What do you think of the creative product at Saatchi & Saatchi – are there any campaigns that stand out for you? 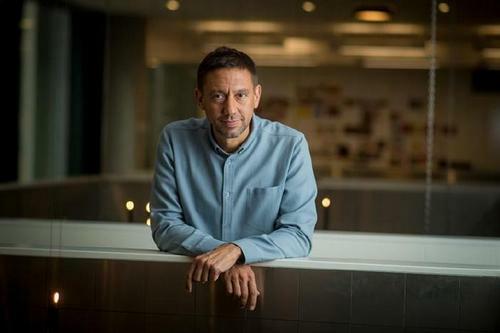 There are some really good things happening at Saatchi and I particularly like the way that so much of the work is connected to technology and innovation. It’s not easy to do those things at scale like Saatchi is doing right now. My mission is to improve the work but keep what’s already working so well. What changes can creatives expect under your leadership? My focus is in the work and the quality of that work. That’s a “going back to the basics” kind of change. The other change has to do with the way we interact with each other. That has to do with systems and workflow. Change is natural. What sort of work can we expect from Saatchi & Saatchi in the future? My philosophy is to respond to clients’ needs. You will see work and assets that are not similar to each other but actually are more precise and defined to respond to specific business objectives. Creativity is a tool to make things happen in the market. The better the work, the better the response. That’s the focus. What do you think of creativity in the UK in general? Are there any agencies or work that stand out? There’s a lot to like about the UK in general. Especially if you take a longer-view approach. Lately, I like some of the Adam & Eve/DDB work and I always liked Bartle Bogle Hegarty as an agency. I also know Tony [Davidson] , Kim [Papworth] and Iain [Tait] from my Wieden & Kennedy years, so I have a relationship with them and I admire what they do. This is a very good market for creative work. What ad – of all time – do you wish you had done? Definitely The Independent “Litany”. Insanely good.